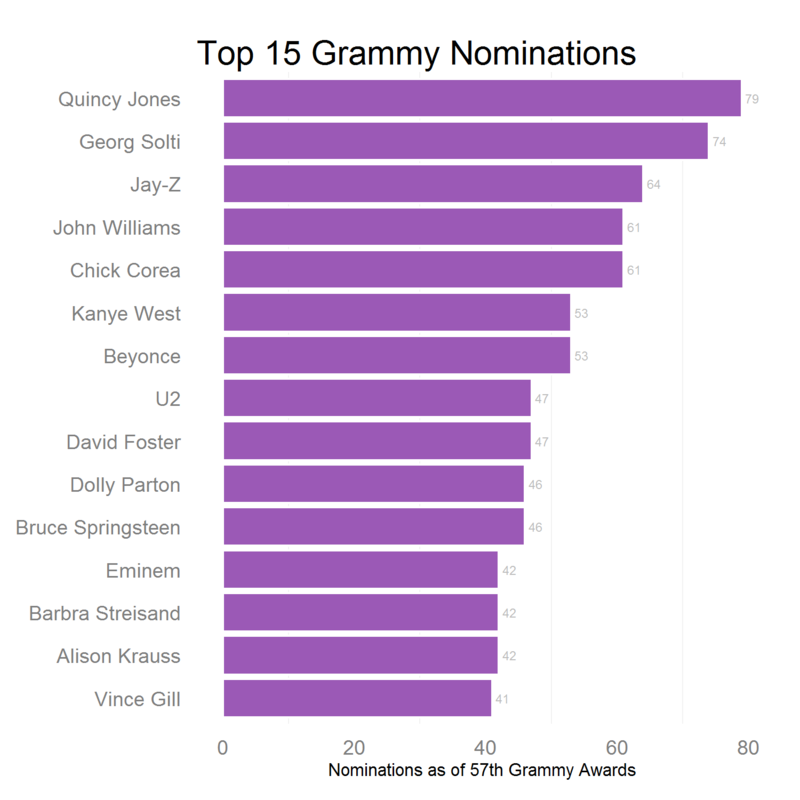 The 57th annual Grammy nominations were recently announced, cementing Beyonce as the most nominated female artist in history. She is now tied with Kanye for a career total of 53 nominations. This news made me curious enough to plot the top award winners of all time. I did not recognize the knight at the top of the list (turns out he is an amazing conductor with a storied history as director of the CSO); but I sort of expected that. The Grammys have been around since 1958, so I figured that many of its top honorees would be dead or unfamiliar to philistines like me. In fact, I was surprised by how many of the musicians and composers I did recognize. Why were there so many young artists? How did Jay-Z beat three of the four Beatles? This explains a lot. 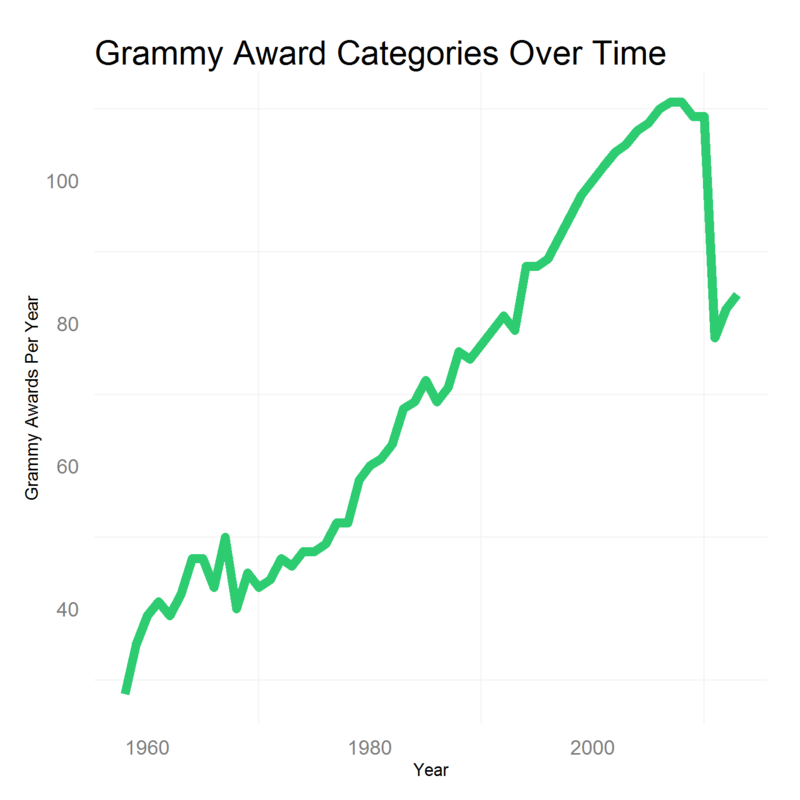 With a few exceptions, the Recording Academy added awards every year between 1970 and 2011. 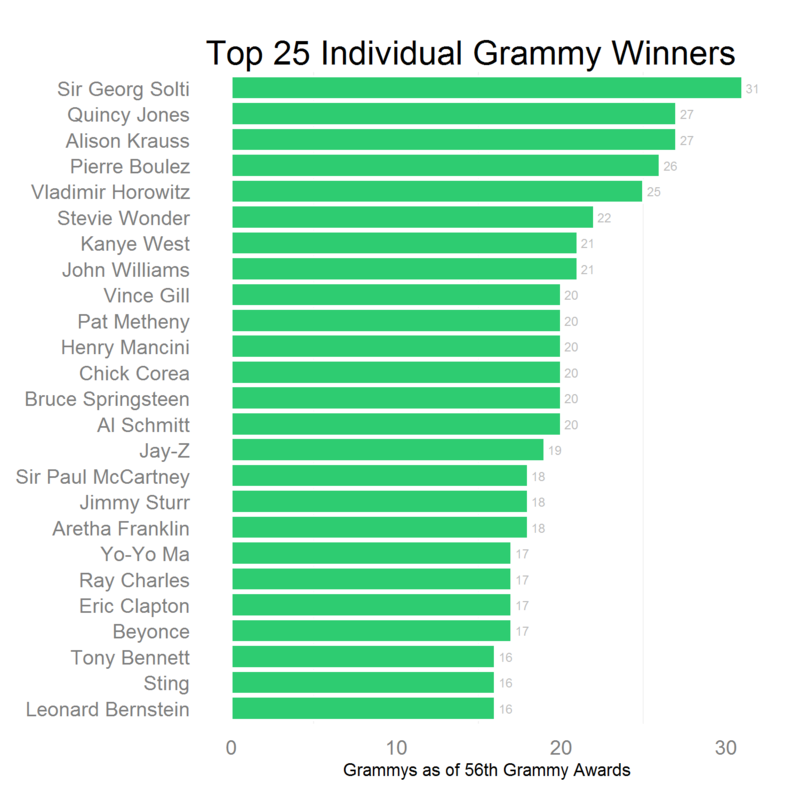 It doesn’t tell us whether the Grammys are racist or sexist, but it does tell us that musicians who were popular in the 90s and early 2000s were more likely to receive a Grammy than previous generations, or even musicians of today. My favorite addition is the award for Best Disco Recording, which only lasted one year (1980). By changing the award categories, the Academy has been able to stay current with trends in popular culture. But they have effectively made it impossible to compare artists by total Grammy counts. That’s why statistics like the one I mentioned in the beginning of this post are dubious. It’s sort of a ratio of nominations to wins - in this case with all 0s in the denominator - making ‘grade inflation’ less relevant. 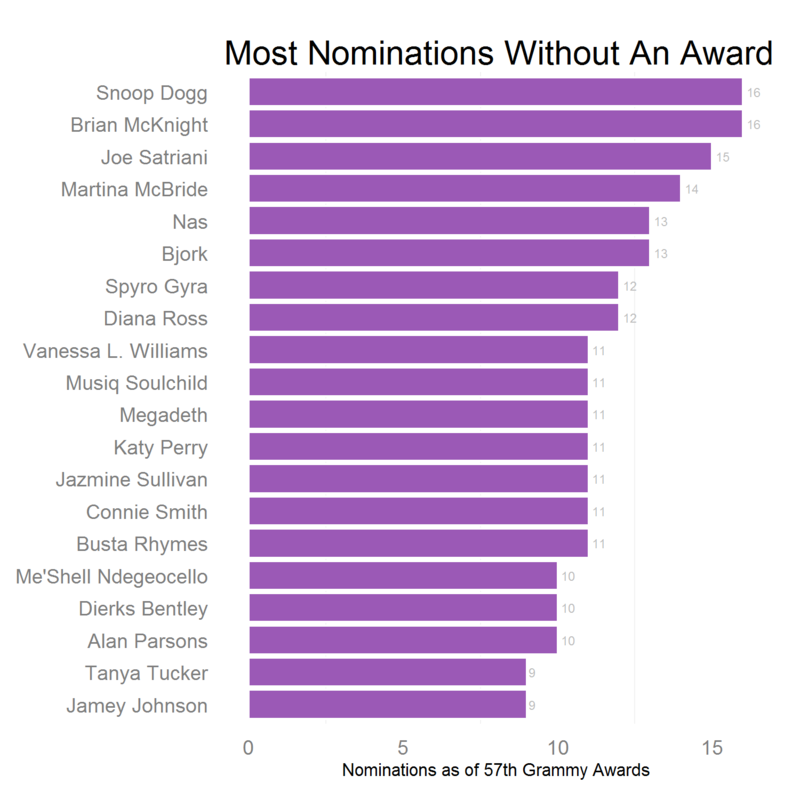 As it happens, the Academy cut the number of awards from 109 to 78, stacking the deck against new artists, the same year that Snoop Dog was “reincarnated” as Snoop Lion. Coincidence? All data and code can be found here. Data came from this Wikipedia article and the official Grammy website.